Day 2: Full day fishing Safari on Lake Victoria. After your breakfast, take a hike to the crater lakes of Ndali an amazing experience for sightseeing and the best scenery in Uganda or many they have regarded it to as a million dollar view. Later after proceed to Kampala with lunch en route. Meal Plan B-L.
End of the 5 Days Fishing and Chimpanzee Tracking Safari in Uganda. 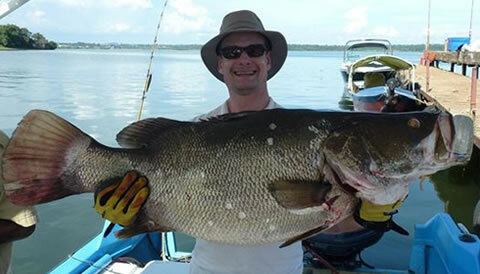 The 5 Days Fishing and Chimpanzee Tracking Safari in Uganda package excludes expenses of personal nature like: Air fare, Visa, drinks, laundry, tips to local guides, telephone, porter fee while trekking, personal insurance, personal shopping bills and cigars.